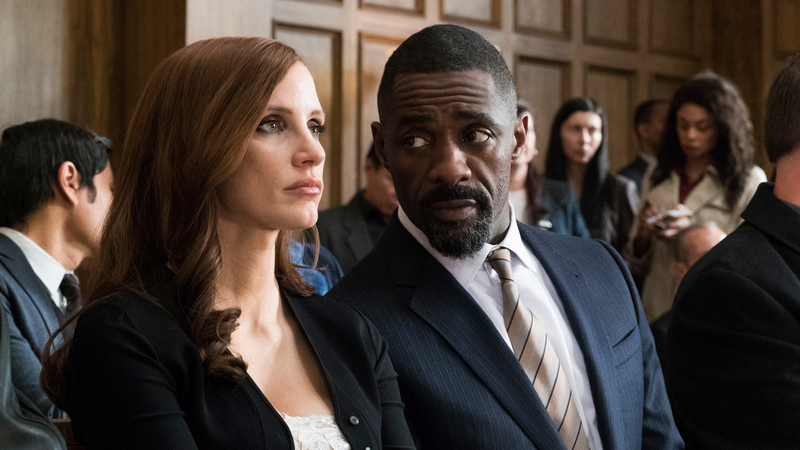 Starring Jessica Chastain as poker princess Molly Bloom, Aaron Sorkin’s directorial debut Molly’s Game provides all the quick witted verve and punch you’d expect from the acclaimed screenwriter. The greatest successes of Aaron Sorkin’s screenwriting career – The Social Network and Moneyball – have something of a common thread: true tales of seemingly unremarkable people doing overtly remarkable things. Joining Mark Zuckerberg, the socially awkward prodigy who somehow redefined the way people socialise in the Information Age, and Billy Beane, the unassuming family man who helped revolutionize the macho world of professional sports, is Molly Bloom (Chastain) – a one-time olympic hopeful who somehow becomes a fixer for the world’s richest back-room poker players. Like many of Sorkin’s films, the screenplay is based on a pre-existing work of biography. The real-life Bloom’s memoir (also titled Molly’s Game) is a suspenseful account of how, by sheer coincidence, a bright law student became embroiled in the high-stakes world of private poker games, played out amongst millionaire actors and billionaire hedge fund managers. The more money changes hands, the more intense things become, and Molly finds herself as addicted to running games as the gamblers who play them. Sorkin’s adaptation, like The Social Network, wraps the memoir within an (also true-to-life) legal framework, providing an entrance for Charlie Jaffey – the lawyer who helps Molly fight charges of money laundering and running illegal games. Jaffey is played gamely, if a little unconvincingly, by Idris Elba – who seems to relish the opportunity to play a role outside of his usual tough-guy cast. Chastain gives a good, if slightly sedate performance as Molly: coming off headstrong and independent, but with an air of invulnerability which sometimes feels a little flat. The best performances are found in the supporting cast. Michael Cera is slimily fantastic playing against type as an obnoxious actor, and Chris O’Dowd delivers a typically smart comic performance as an alcoholic and compulsive gambler. This is, perhaps, the most Sorkin of Sorkin’s scripts and whilst the camerawork won’t blow you away (nor will Sorkin’s direction of the leads), everything else seems to move at a third its normal speed. The screenplay fizzes with one-liners and witty repartee, delivered in the machine gun style for which he is famous. Ultimately, Molly’s Game is pure entertainment, funnier than the subject matter might suggest and fired at you with enormous energy.